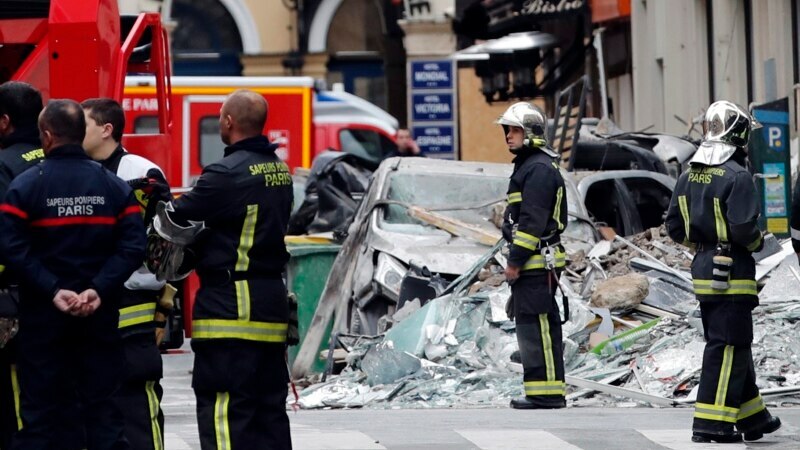 Four people have been confirmed dead Sunday in a suspected gas explosion in Paris a day earlier. Authorities found the body of a woman reported missing the day before underneath the rubble at a bakery, the site of the explosion, in the French capital. Two firefighters and a Spanish tourist were also killed and dozens injured in Saturday’s blast, which left nearby buildings severely damaged. Around 50 people have been provided temporary accommodation as authorities continue to search the rubble for bodies and assess the safety of damaged buildings. Firefighters were responding to calls about a gas leak Saturday when the explosion occurred. French president Emmanuel Macron tweeted his condolences to the firefighters and their families Saturday. “Their mission: saving lives. To accomplish this they gave their own,” Macron tweeted, adding that his thoughts were with all the victims. The blast is believed to have been accidental, but authorities have not yet ruled out other causes in a city which has fallen victim to numerous terrorist attacks in recent years.